Soft, furry and fluffy. Love the new babies, love all the animals. Feeding, cleaning pens and stalls, watering. Love the eggs, love the milk. Homesteading is living the life. Just one thing I’ll never get used to. That is when there’s a shrill screech of panic in the early morning hours. I think that’s why I have all our animals close to the house because more and more it’s getting harder for me to hear. 4 am the siren sounds go off. It wasn’t a hen laying an egg that’s for sure. I no sooner chugged my first cup of coffee when I heard the alarm. I only wished I had heard it sooner, way sooner than I had. Slipped my crocks on, still in my pajamas, I grabbed the flashlight to find a possum just outside the silkie pen. I turned on the hose and shot it with water. It scurried off and I turned the flashlight over into the pen to see feathers all about. A mound of feathers told me that that creature stole one of our investments. Barricading the entry to the pen I returned to the house to compose myself. Thinking I needed to clean it out of there before the other birds came down for the day. I proceeded to dress for the weather, I pulled the car over to the pen using the headlights to see as I would be needing both hands to do the job. On my return to the pen, it was either the same possum or another that was inside the pen. Grabbing the hose again I blasted the damn thing out of there. 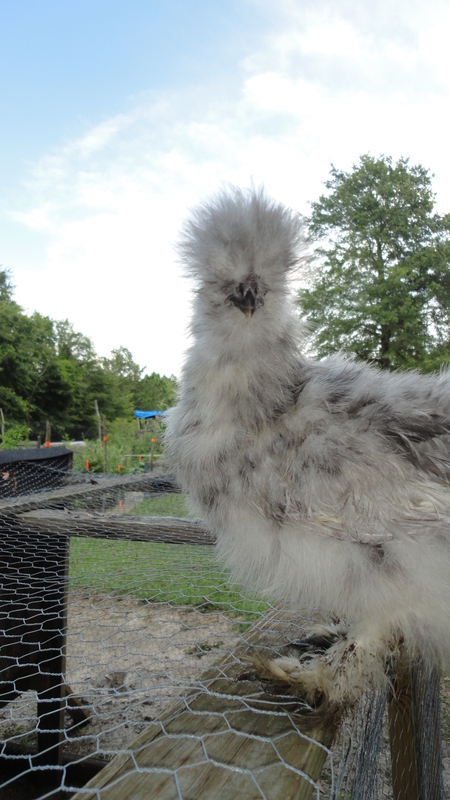 There were two silkies gone (one was my favorite, Jammer Pants). 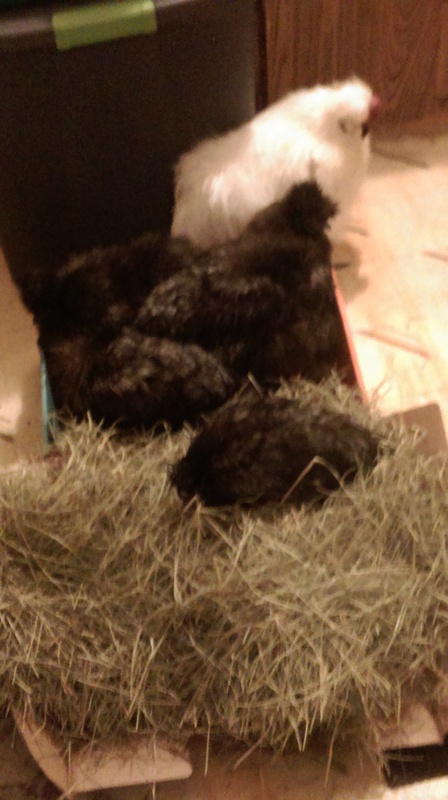 The other was a new rooster that we had hatched. Being that daylight was not available I had to wake my daughter to help me get our remaining flock out of the pen. We brought them inside so we could dry the young birds (they got wet by the hose) and warm them all up. Reading on possum behavior they will go after chickens. Luckily our larger birds were safe. I will now be investing in wire cloth as I read that is better protection against predators. Never encountering this before I’ve always used chicken wire for my birds. It’s time to beef up security. This is just something that I can never get used to. I will give the two a proper burial in our garden. RIP Jammer Pants.